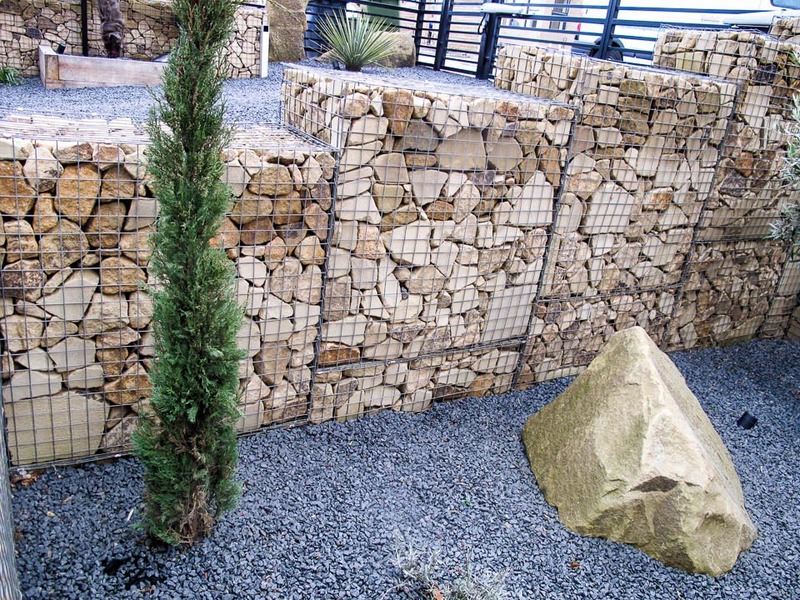 In the past, gabion walls have been a long standing feature of motorways, and when used in gardens and landscaping, there has often been a risk of uneven stones and a poor structure. For our latest project, we decided to break the mold and use gabion walls to transform a new build home on Caledonian Road in Dewsbury. Unlike other gabion structures, we aligned the stones in a more precise form. This was not only for aesthetic quality, but to ensure perfect structural integrity. Rather than randomly placed stones, the stones in our gabion walls are packed with interlocking stones. This not only makes the wall easy on the eye, but far more sound and stable. We also installed eco-decking, made out of completely recycled material and sturdy enough to withstand all elements.